Online flipbook software- Create your Free Online digital magazines? Do you have any page flip software that can create free digital magazines? Can I use it to publish the magazines online so others can read them from all around the world? A-PDF Flip Book Maker can be your great helper because this online flipbook software will enable you to create your own style online digital magazines within minutes, and absolutely no programming or coding work is required. You can publish as many as free digital page flip magazines for online or offline reading. To create an outstanding digital magazine, the quality of the design of your artwork is one of the most important factors. 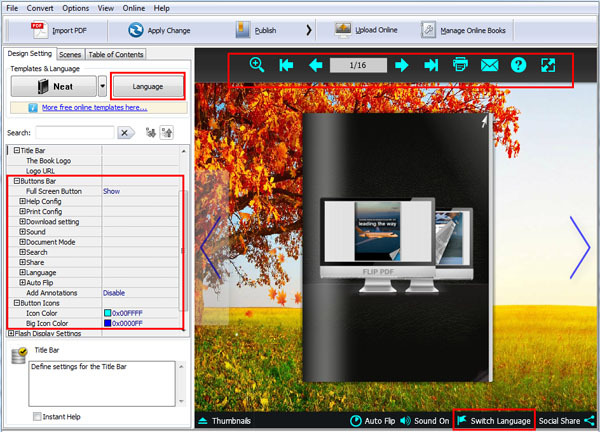 Now start A-PDF Flip Book Maker and import your PDF file, and define import settings such as page range and page quality. Now in the design interface, you can customize the magazine with a variety of features and settings: you can activate Full Screen, Print, Download, Background Sound, Search, Social Share; you can change display language or use multiple languages to switch; you can change the background or use animated scene; you can change different colors for toolbar, buttons and so on. Click "Publish" button and publish the digital magazine in HTML format. 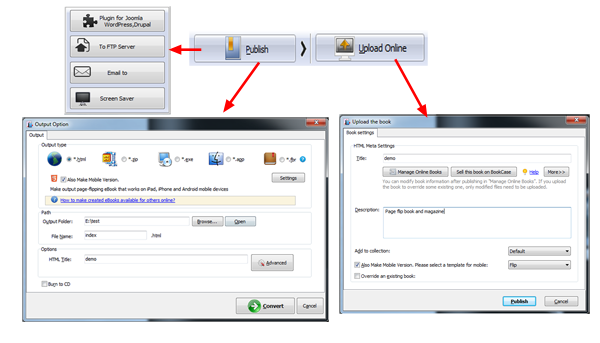 And after the conversion is completed, upload all the flipbook files to your server. Or you can click "Upload Online" to publish the magazine online to our Online Hosting.